Description: Twelve years ago, Midnight in the Garden of Good and Evil exploded into a monumental success, residing a record-breaking four years on the New York Times bestseller list (longer than any work of fiction or nonfiction had before) and turning John Berendt into a household name. 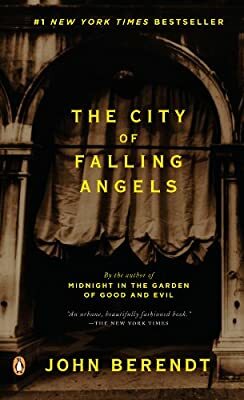 The City of Falling Angels is Berendt's first book since Midnight, and it immediately reminds one what all the fuss was about. Turning to the magic, mystery, and decadence of Venice, Berendt gradually reveals the truth behind a sensational fire that in 1996 destroyed the historic Fenice opera house. Encountering a rich cast of characters, Berendt tells a tale full of atmosphere and surprise as the stories build, one after the other, ultimately coming together to portray a world as finely drawn as a still-life painting.